This type of hot water heater can operate equally and satisfactorily on natural gas, propane or electricity, depending on the house's existing power supply. 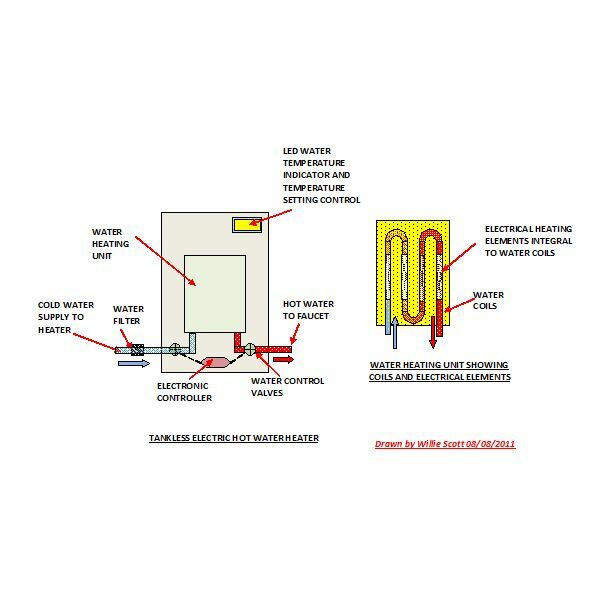 The next few sections will offer some of the best rated tankless hot water heaters in order to make the right purchasing decision. The first section gives an overview on how the gas and electric models operate. These heaters are supplied in a number of sizes, depending on the hot water needs of the household. Once a hot water faucet is opened, the electric power is supplied to the elements inside the water heating coils. The water is instantly heated and starts to flow through the coils to the faucet outlet at the selected temperature. When the faucet is closed, the power to the heater elements is shut off again. A diagram of an electric water heater is shown below along with a typical LED display. When a hot water faucet is opened, gas is supplied to the gas ring burner and ignited. Simultaneously, cold water is supplied to the heating coils and is instantly heated by the burners. The fumes are extracted by a flue that is ducted to the outside of the house. 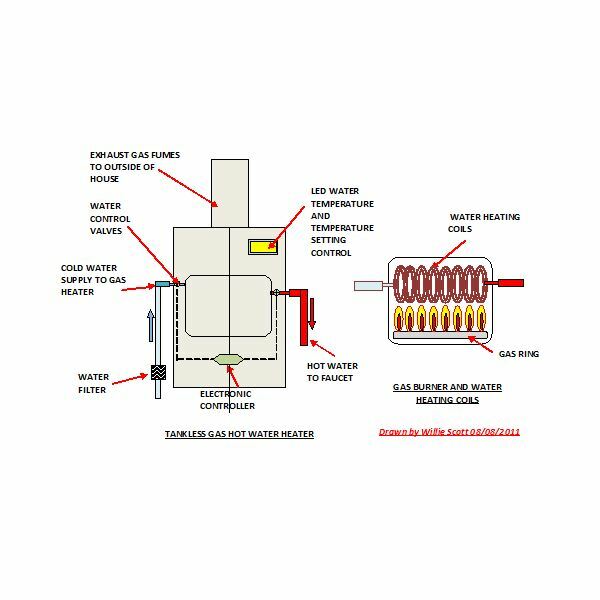 A diagram and an image of a typical gas heater are shown below. Hot Water Thermostat Control: This is very important as some models do not have this protection against scalding. Auto Ignition: This is applicable to gas heaters only. Some models have pilot lights that remain lit all the time. This wastes gas so automatic ignition is more efficient. Dimensions: Physical size of unit – will it fit in the location you want to install it? Cost: Purchase only – installation will vary between gas and electric models. Warranty: How long is the unit guaranteed for parts and labor?. Most manufacturers offer at least a year on parts and labor as well as up to 10 years on the actual heat exchangers. 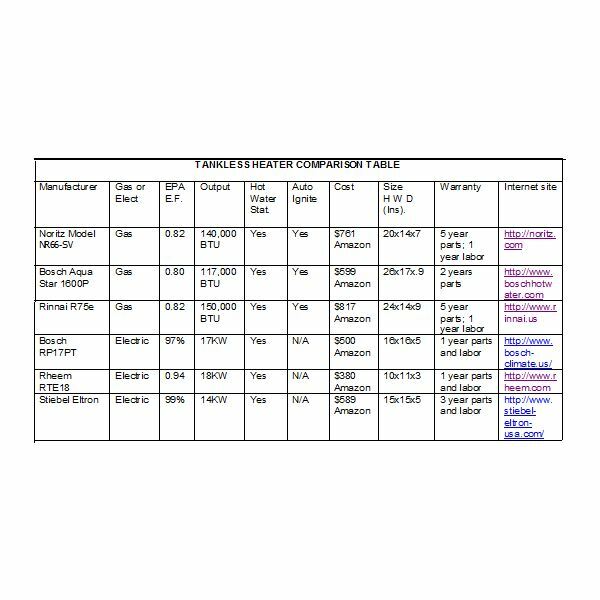 From the above criteria, the table below has been produced showing six recommended water heaters. Because of the difference in costs of installing a gas heater as opposed to an electric one, three of those recommended are electric heaters and three of them are gas supplied. Gas tankless water heaters are very efficient being much cheaper to run than their equivalent electrical model. However, they are invariably more expensive to purchase and a lot more expensive to install. 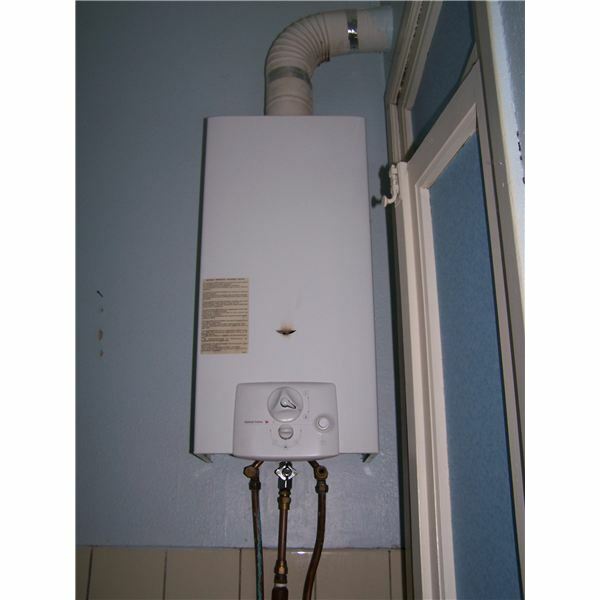 The gas heaters are also limited to locations where the flue can be ducted to the outside of the house. Electric heaters are much more easily installed, although a new fuse outlet with a higher wattage (much like an electric shower fuse) will be required to be fitted to the existing fuse box. A heavier cable must be run from there to the appliance location, by a professional electrician to building regulation specifications. 1. 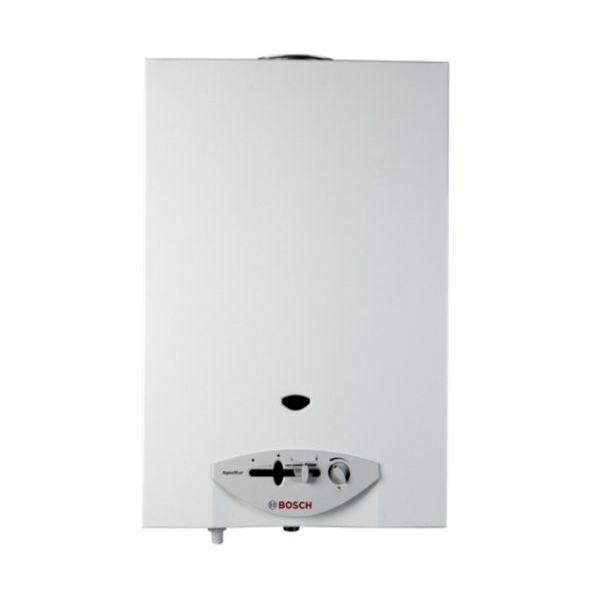 Bosch RP17PT – Author has used Bosch products with great service for many years. 2. Rheem RTE18 electric heater – Good value for your money. 3. Stiebel Eltron – 3 years parts and labor warranty. 1. Bosch Aqua Star 1600P – Once again the brand that has a very good service record, but this heater also represents very good value for the money. 2. Rinnai R75e – Very little to choose from between this and the following brand, except that the Rinnai has a slightly higher output than the Noritz one. 3. 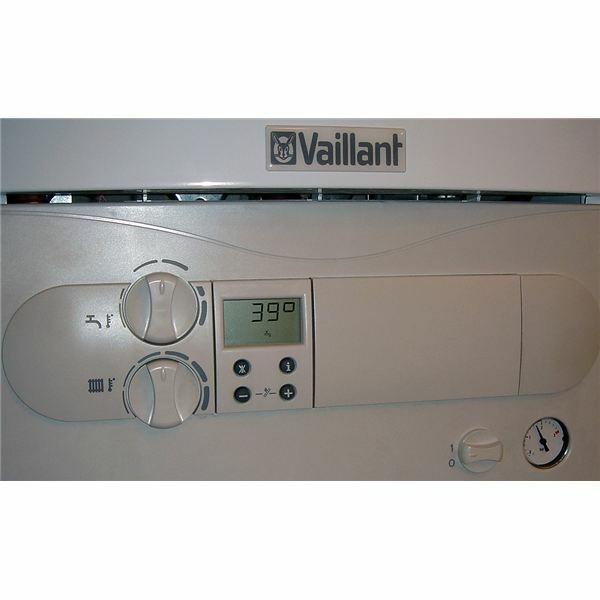 Noritz Model NR66-SV – As mentioned above, although slightly cheaper to purchase than the Rinnai. The Rinnai will give a better hot water flow due to the output. Hot water requirements differ between houses and individual owners will have their own preferences of gas or electric powered heaters. 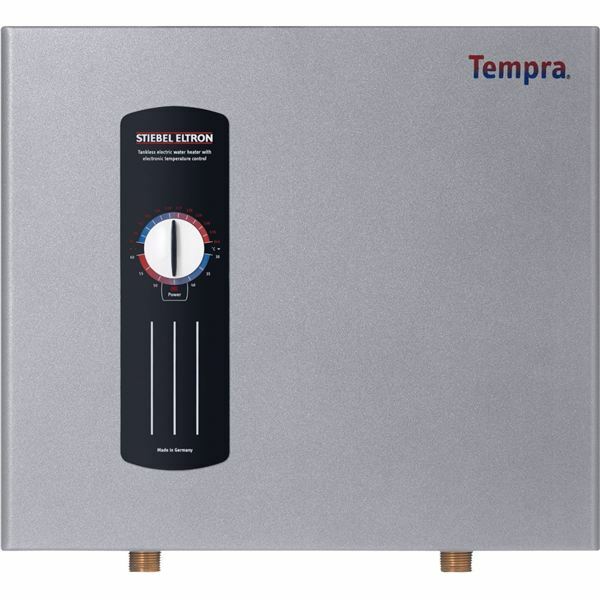 The above comparison table and notes should help in deciding on the best rated tankless hot water heaters and choosing the right one to suit their individual needs. Please remember that which ever model is chosen all six shown on the table are very efficient and will save on energy bills. They can also very likely entitle the buyer to Government Tax Credits but the local government offices should be consulted to confirm this.